Honda Jazz. 29er Moutain Bike inside? It fits! 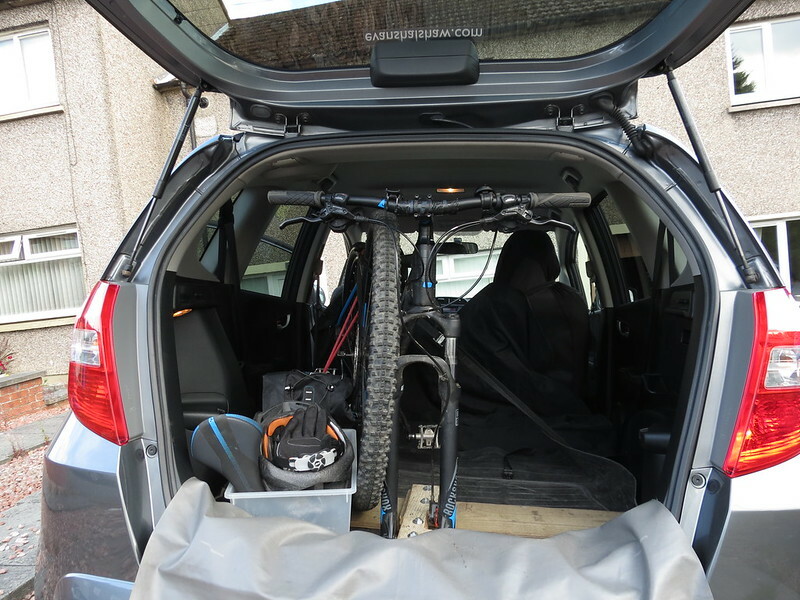 One of my reasons to choose my Honda Jazz as a replacement for my Vauxhall Meriva was for a car which I could relatively easily transport my bicycles inside (A mountain bike, a road bike or my touring bike - one at a time not all three at once!). Hopefully this may be of interest to potential owners! Fits, but can't shut the doors! So, trying with the wheels off, and the frame upside down. Just like that! A possibility, but not keen on having the bike upside down in case it causes issues with the hydraulic disk brakes? 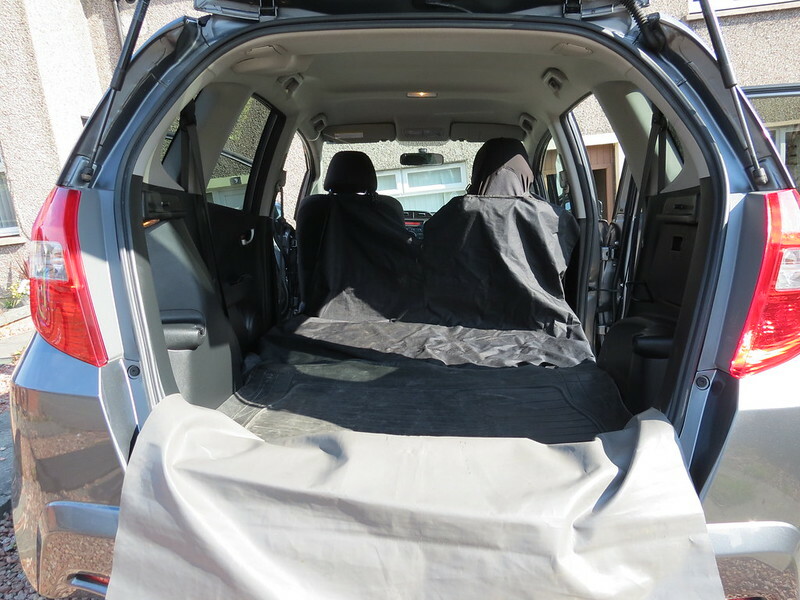 If I were to do it this way, I'd put the bike in a soft bike bag to keep all the oily / dirty bits away from the car upholstry, as well as put the wheels in wheel bags... Good thing about this way, is I still have a full boot to use. Bike? What Bike? 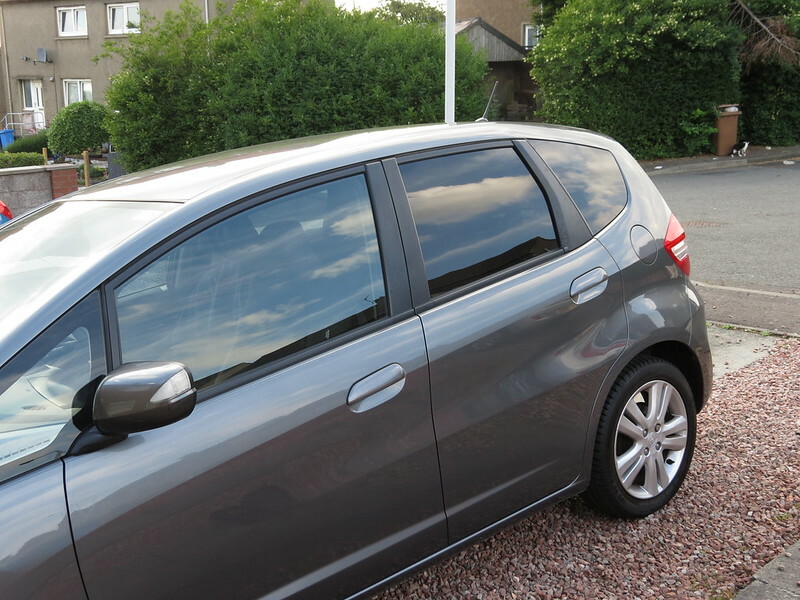 The good thing about my Jazz having tinted rear windows, is that it hides the bike from prying eyes! 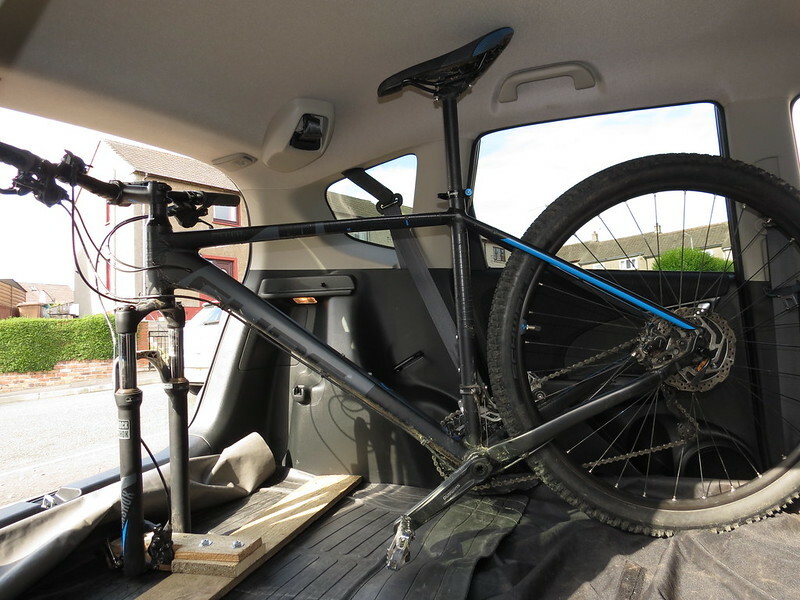 I had thought about getting a tow bar & tow bar rack fitted to the car, but seeing as it's relatively straight forward to get the mountain bike inside with a few minutes taking the wheels & seatpost out, I don't think I will now! 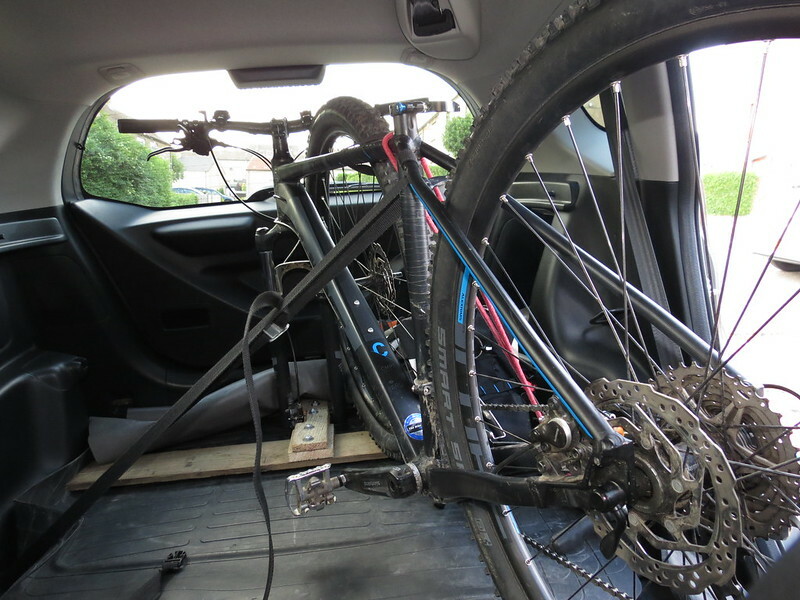 Pretty much I'll be the only person in the car, with my bike, so the added fuel economy of having the bike inside, versus outside on a rack is a benefit! Honda certainly have worked magic with their Magic Seats! Re: Honda Jazz. 29er Moutain Bike inside? It fits! Just wondering from your first picture though....I was wondering if you dropped the "magic seat" behind drivers seat down......lowered the back part of the seat down so its flat....then wondering if you may be able to lift the front forks of the bike up onto the folded down seat to enable you to be able to shut rear passenger door. (Perhaps handlebars may rub on headlining though). I still think the length of the bike would be too long, with the rear wheel fitted to put the bike in sideways behind the front seats Probably due to the fact that it's a large sized from, with 29" wheels. However I'm probably going to get myself a soft bike bag, and a couple of wheel bags. At least I know I can get the bike behind the front seats with the rear seats in tall mode, if I take the wheels off the bike. Not sure that would work with my road & touring bikes though, as they have full mudguards... 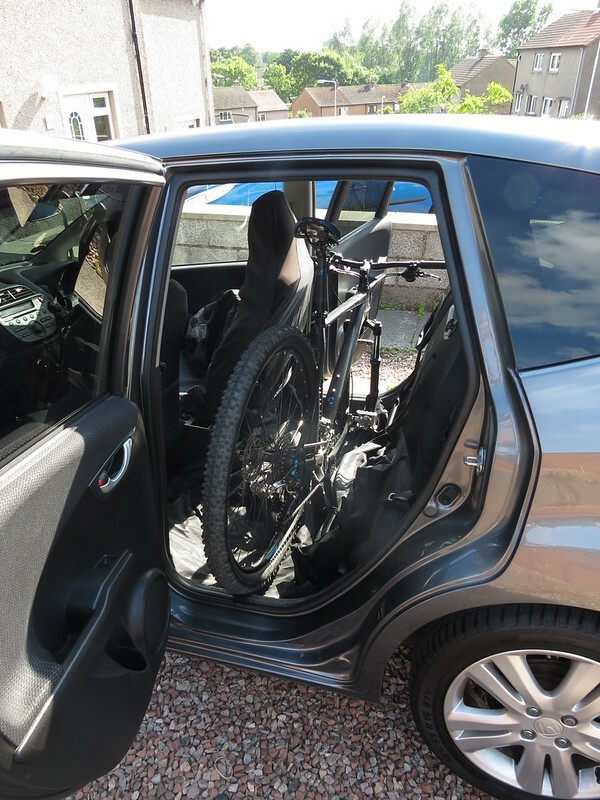 However seeing as I won't be carrying passengers, putting the bike in the boot with the rear seats flat, front wheel off and seat post out will probably be the easiest way. If I go away on holiday with the bike, then putting it in the bike bag behind the front seats would give me an empty boot for luggage etc. This is where a folding bike makes life easier. I've just bought a 24" Tern Node and it will fit either behind the front passenger seat (rear seat base tipped up) or standing up in the boot. I would expect the bike would similarly fit in a Jazz. The bike was supplied by CH White in Malmesbury who modified the gearing for a very reasonable price. Excellent service and highly recommended. Mine fits in the back without taking the wheel off !! Just bend it round. 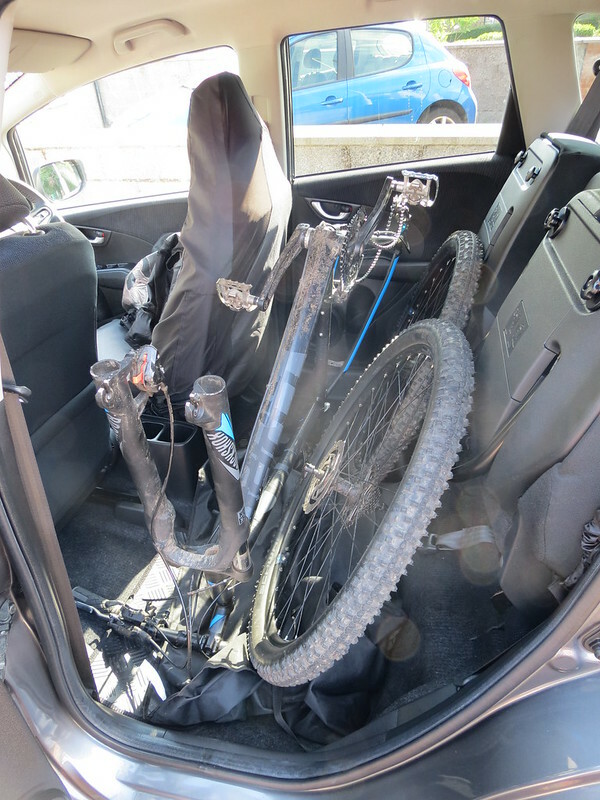 I discovered only yesterday that my MTB will fit in our Jazz with the seats down and luggage department cleared; likewise with the front wheel and bars bent round. Very impressed because it only just fitted in our Ford Focus, which seems in retrospect like a much larger space.